More than 45 single mothers from around the world share their struggles and triumphs via essays, poems, art and critique. A.L. Hayes, Anne Bonnie, Arna Baartz, Auriol Hays, Beth Mattson, Brenna Jean Richart, Celeste Gurevich, Chris Ball, Colleen Joy Miller, Destiny Eve Pifer, Elmira Rodriguez, Ihla Nation, Irene Sanchez, Jacinda Townsend, Jakki McIntosh, Jennifer Kimmel, Jessica Ruizquez, Julie Wolfrum, Kali Sunna, Karen McLaughlin, Katherine Belliel, Kelsey Lueptow, Lennée Reid, Lesley 'Orion' Johnson, Liz Darling, Louise M. Hewett, Louise Pennington, Lucía Martínez, Marianne Evans-Lombe, Martina Robles Gallegos, Mia Wright, Michelle Plata, Molly Pennington, Nicola O’Hanlon, Nile Pierce, Noelle Williams, Patty Kay, Rhonda Case, Shamecca Long, Sierra Melcher, Solana Simpson, Susannah Gregan, Trista Hendren and Veronica Cioaric. 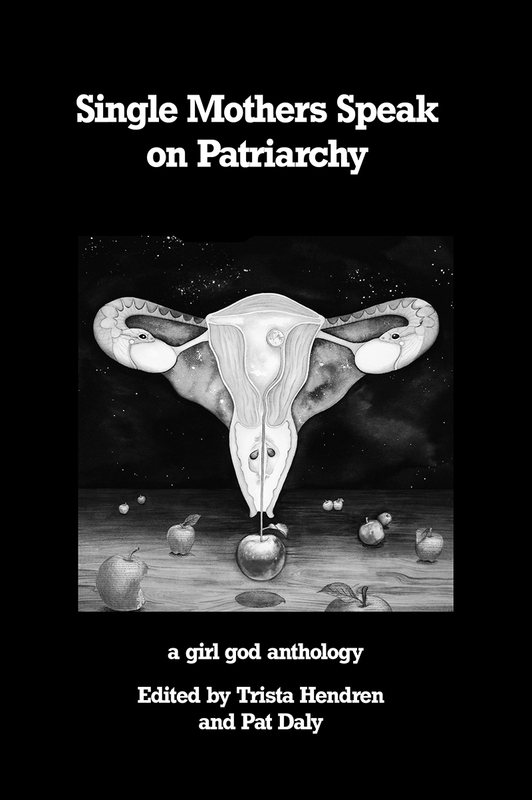 This anthology also includes the voices of numerous women who chose to be anonymous or use pen names. "If we are ever to value women, we must value mothers. Our voices can be easily ignored or dismissed. Single Mothers Speak on Patriarchy raises the voices of women who are so easily dismissed. This collection of words and art from single mothers is at once enraging, inspiring, uncomfortable, moving and authentic. Solidarity, sisters, and congratulations on speaking your truth. The rest of us? Listen up. #MothersOfTheWorldUnite". Vanessa Olorenshaw, author of Liberating Motherhood, Birthing the Purplestockings Movement. If you are (or were) a single mom who is struggling financially, please message me at trista@girlgod.org. I am happy to gift you with a pdf copy of this book.